Review: Mesmerized, heartbroken, encouraged..I had so many emotions reading this historical fiction novel. 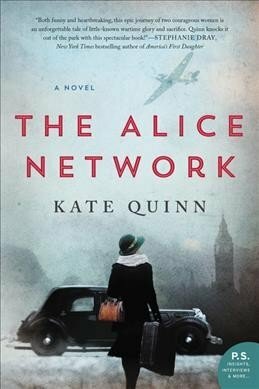 Told in alternating timelines, we follow Charlie in 1947, an American in Europe trying to track down her best friend/cousin who disappeared during the war. In 1915, we follow Eve, a stuttering tri-lingual young woman recruited to be a spy in German occupied France. I usually prefer one timeline over the other in books like this, but I was equally immersed in each story. I loved Charlie's tenacity and optimism in finding her cousin, while I was on the edge of my seat with Eve.I think this is the firstk WWI book I've read and it was a very interesting perspective. Reading the afterward, it was fascinating to realize many of the characters were based on real people. Overall-I loved this book. One of my favorite reads of the year.